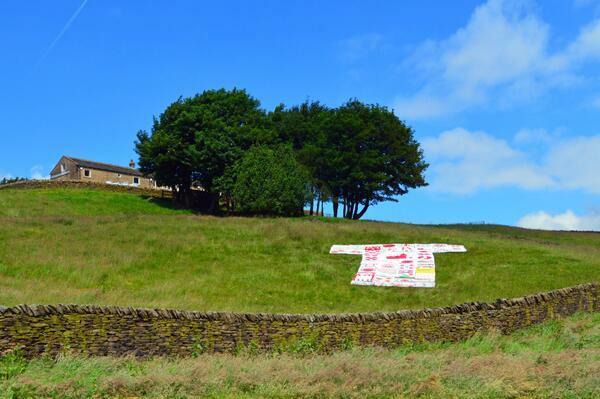 This mammoth project, undertaken in time for the Tour de France’s Grand Depart from Yorkshire, consisted of over 50 1m squares and was displayed in a field overlooking the cycling route. The giant jersey was created from contributions by more than 35 community groups and projects, with contributors’ ages ranging from 3 to 99! Check out our page on the Yorkshire Festival 2014 Fringe site here.